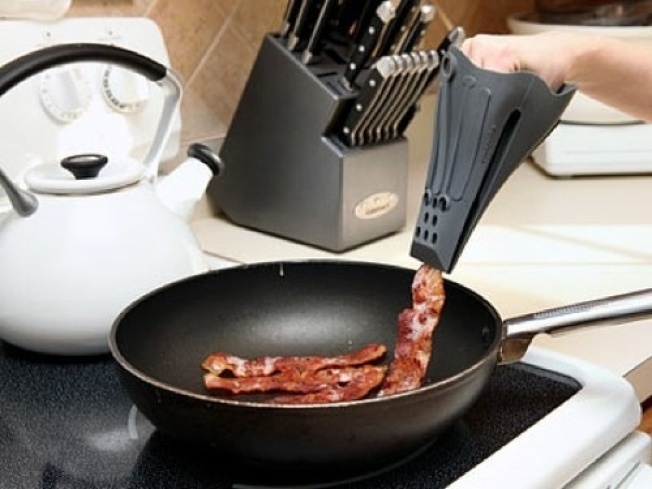 Bacon tongs will keep your hand from getting burned. There are a select few inventions that have changed the course of human history. The cotton gin. The printing press. Penicillin. And now, added onto that illustrious list, are the Fusion Finger Tongs. They let you pick up and flip over bacon without burning yourself! And they are dishwasher safe. If you don't eat bacon, you could theoretically use them to flip other types of food in your pan. Your life begins anew today, my friends.